This post contains affiliate links. For more information, check out our Policies page. As a part of my personal growth, I have been working towards fighting against my trademark procrastination and achieve all the things I've dreamed since high school- making a living through my creativity. So over the past several months I have done research upon research, worked on my planning skills, and tried to grow as an entrepreneur and artist. It's been a process, and while I have gotten off to a good start, I find myself just...kinda...trailing off. I'm reading the same sentences over and over, I'm typing sentences that make zero grammatical sense and my eyes a generally glazing over as I doze off at my computer. What's going on here? It may be my own fault- whoops. At this point I am taking quite a few medications- anti-anxiety and thyroid medication, specifically. When taken at the right time each day I can feel the effects in many different senses- I can breathe easier, I am more mentally alert and more physically capable throughout the day. And I'll feel real good for a few weeks, until one fateful morning. It's usually nothing major- just have to rush out of the house early in the morning, someone came over sooner than expected, and the usual morning routine just kinda escapes me. But it's cool, I'll just take my medicine when I get home. Or before bed. Nah, I'll be alright until tomorrow. And then before I know it it's a week later and I'm wondering why I'm so angry and out of it. My anxiety keeps me on edge, always waiting... for what, who knows, but we are waiting for some type of impending doom. My brain swirls with thousands of slightly probable scenarios that makes it difficult to keep focused on the task at hand, or to even relax and get the sleep I need. Since starting my medication this has improved significantly- but only as long as I am actively taking them. 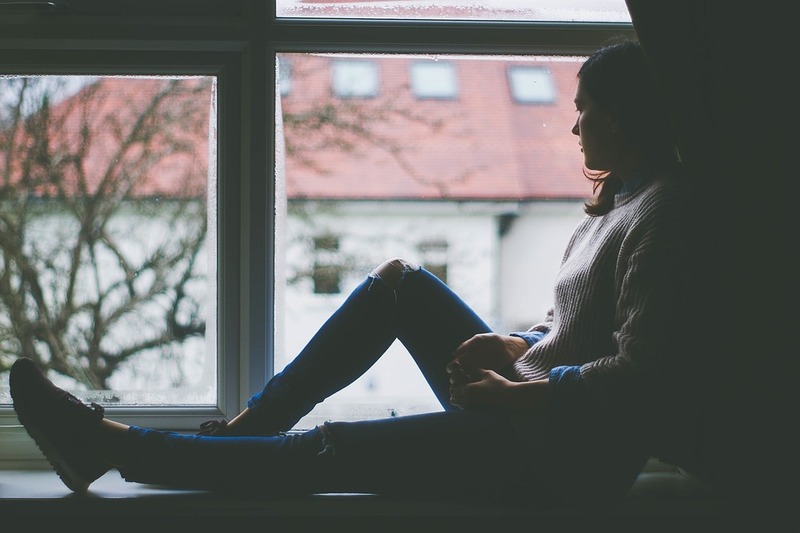 If you've started on an antidepressant your doctor probably told you that quitting them cold turkey can cause a mental break. From a personal standpoint I can tell you it is true, DON'T DO IT! Merely forgetting your medicine a couple of days in a row can throw you off balance. It is important to stay on top of it until you decide to quit on your own. For the most part I do a pretty good job of keeping up with it. The method that has worked the best for me has been to keep my medicine close to a place I am most likely to go to first. For me it is on the kitchen counter next to where I make my daughters breakfast. It's also right next to the fridge, so I can get out a bottle of water to take them with. It's all very convenient, and after making her food I can turn around and get my coffee started. But why am I still tired even though I've been responsible? Why do I get a full night's rest, meds on time, coffee in the morning with seemingly no pay off? What gives? Well, it could still be my thyroid. I have Hashimoto's, which is an autoimmune disorder that affects my thyroid. Low thyroid hormones mean low energy for people like me, and so without at least taking my medicine, I can get chronically fatigued, among other things. Taking B12- I've read B vitamins are good for thyroid health, and B12 specifically can help boost energy. Since I've started I can honestly say there is a difference! Another thing that could be affecting my energy levels at the moment is the fact that I am not getting the sleep I need. Lately I have been on my phone long after I've laid down in bed, staying up til two in the morning tapping fish and giggling at memes. I had set my iPhone to turn the screen to a yellow hue at around 10 p.m. and an alarm that let's me know when i have about fifteen minutes before bed. I have literally ignored it every single time since I've set it. The morning alarm usually gets me up if Tate hasn't already done so, but the fact that I just can't bring myself to lay down and shut my eyes is exhausting. I spend much of the day wishing I could sleep, just to snap awake once night falls. Am I just a night owl? Is my internal clock backwards? These are the questions. I think that setting a more solid routine that doesn't involve my phone helps. I tend to write more at night, so writing with pen and paper could be a way to stay productive and still avoid technology and the alluring bright screens. Sitting in a cozy bath and then slipping into fresh sheets can be relaxing and comforting. Having a good smelling room removes further distractions, as well as having the space cleaned and organized. Removing distractions and focusing on relaxing can tell the body "Ok, we're done for the day." Most of all, I feel my lack of focus is my own subconscious sabotage. When I first started blogging, I wanted to have as much anonymity as possible. I was worried about people coming in and saying my writing is no good, I make no sense, this blog is no good. Over time I have gotten over that fear- well, mostly. I have experienced steady growth, and with that comes a wider audience, and more pressure. Is that pressure actually there? I don't really know. My anxiety is 99% positive it is, and I am being judged from all directions. Don't mess up! You'll lose everything. So I wind up sitting here, staring blankly at this computer screen, mentally blocked by a fear of judgement. It's not that I'm tired or overworked or out of ideas; I am out of confidence, and that is not ok. It's not ok because I have goals I need to get to. I have a life I want to live and an example I want to set. The fear is going to come and go as long as I can push through the heavier parts. I am the arrow and the fear is the bow. It may drag me back for a moment, but when it releases, I'll end up right at my target. 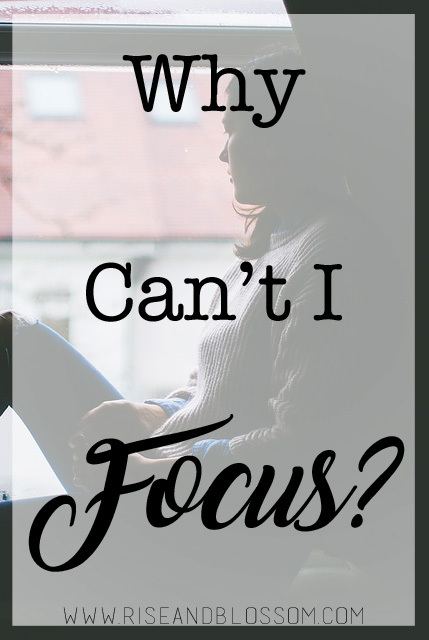 Why can't I focus? Well, it's lots of reasons. Naturally low energy, perfectionist, procrastinator. Despite the occasional dips in productivity, I haven't given up still. So if there comes a time you are struggling to get into your work, take a step back, relax, and remember what you are doing this for. Do you have any methods that help you focus or gain energy? Share in the comments! I can definitely relate to the procrastination and feeling like I'm just floating around with no purpose when I clearly thought I had a purpose. Especially when I started my blog. I'm glad I'm not the only one. :-) WE got this!! Yes! Self confidence for the win! Wow. I completely know how this feels, except for me it is anxiety and depression. And I don't currently take anything for it except a natural supplement called maca powder to help control the hormones. It is hard to focus and yes I too wonder how many look at my writing and think I shouldn't try at all! But I keep trying and even took a course that I am still working through to help my writing. Confidence comes and goes. Thank you for sharing this. It brings my confidence up today.